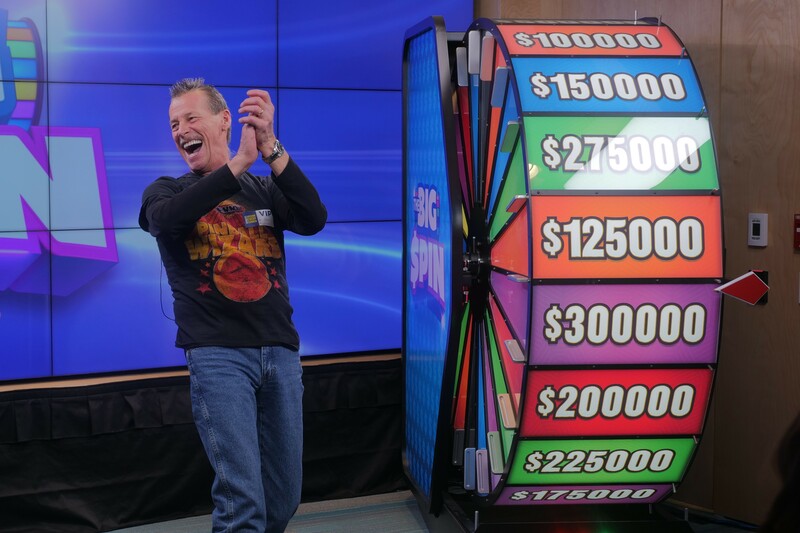 Christopher Ouellette of Harrow took a spin on the big spin wheel at the OLG Prize Centre in Toronto Tuesday afternoon to win $300,000. Doing a good deed for a friend led Christopher to his lottery windfall. “I was taking care of my neighbour’s dog while he was out-of-town. When the dog food ran out, I had to run to the store to pick up more. And that’s when I spotted four THE BIG SPIN tickets on the counter – I decided to buy all of them,” smiled Christopher.